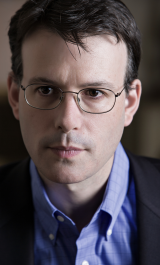 This tour marks the first American residency for the Mahler Chamber Orchestra and features three distinct components, taking place in North America and Europe, with repertoire from both continents. The MCO begins in Ojai, California where it will be the resident orchestra for the renowned Ojai Music Festival. 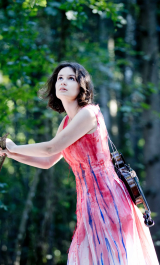 This year’s festival music director is violinist Patricia Kopatchinskaja. Known for her thoughtful and avant-garde concert performances, she is considered one of the most exciting violinists in the world today. The MCO enjoys a very close relationship with this remarkable thinker and performer. Both orchestra and soloist have a strong love for the innovative, the desire to perform with great energy, and an eagerness to explore new musical directions. In 2018 the 75-year-old Ojai Festival continues in its tradition of diverse and original programming. This year the programme includes the premiere of a new Michael Hersch composition, Moldavian folk music, solo and chamber music, children’s programmes, and jazz compositions, along with concerts in the more traditionally recognised orchestral format. 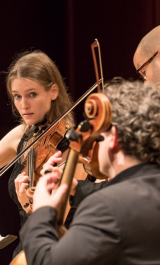 Mahler Chamber Orchestra musicians will be seen and heard in many diverse and engaging settings at the festival, a challenge the musicians quite enjoy. Solo and chamber performances by MCO musicians can be heard, and in the grand finale performance of the festival MCO cellist Philipp von Steinaecker will assume the role of conductor for the Ligeti Violin Concerto with soloist Patricia Kopatchinskaja. 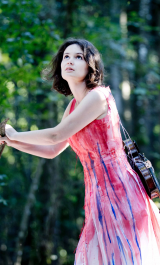 With the conclusion of the Ojai residency, the MCO and Patricia Kopatchinskaja will bring the Ojai festival program up the California coast to the University of California at Berkeley, with five performances in the University’s Zellerbach Hall. Following the Berkeley performances, the Mahler Chamber Orchestra makes its way across the American continent and Atlantic Ocean to join the Aldeburgh Festival, in Aldeburgh, UK for two further performances with Patricia Kopatchinskaja. The orchestra was last in Aldeburgh in 2014, yet feels quite at home in this mise en scène of leading-edge programming and performances.